2. Sprinkle rosemary over lamb, then generously drizzle with olive oil. 3. Place in fridge to marinate for at least 12 hours. 7. Season vegetables and lamb with salt and pepper. Drizzle again with olive oil. 8. Poor the 1/5 cup water into pan. 10. Remove foil. 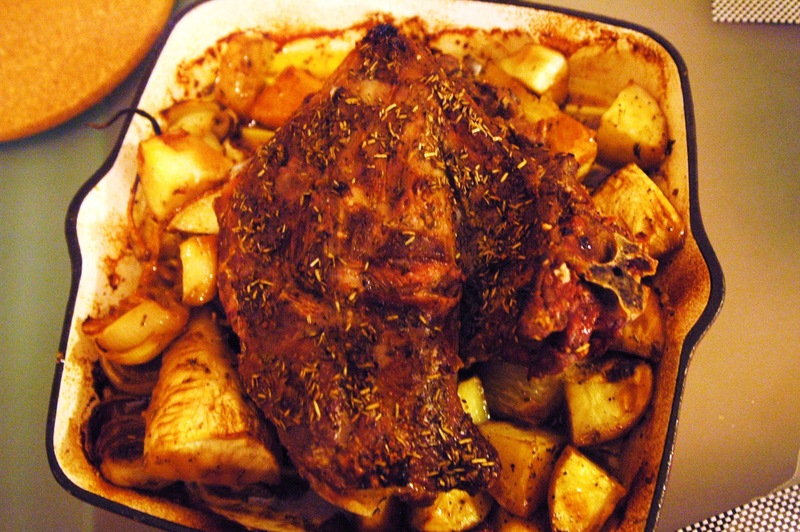 Turn oven to 200 degrees and baste lamb with liquid on bottom of dish. 11. Cook for another 20-30mins. Let lamb rest for 10mins before serving.